During a press briefing in Bukavu on Friday, Colonel Delphin Kahimbi, who is leading the military operations in the region, said that 350 FDLR militiamen have been killed and 150 captured, while 43 Congolese soldiers have lost their lives during Operation Kimia II. Colonel Kahimbi said that “The FDLR’s ability to operate has been significantly reduced. We can assure every one of that, even if we cannot rule out the possibility of attacks or reprisals against the population, especially since this is the doctrine of the FDLR. But we can assure you that rapid response mechanisms, and reinforcement of our patrols and presence in the city, have been established to limit the collateral damage on civilians that we observed in the early operations”. 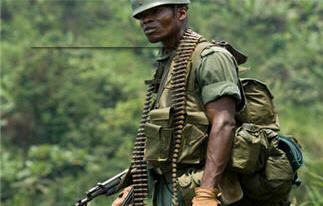 Colonel Kahimbi said that 25 FARDC soldiers were killed by anti-personnel mines left by the FDLR on their route. “We are not aware of other anti-personnel mines planted in the area. Teams from the United Nations or other international bodies will be needed to clear the mines”, he added. Colonel Kahimbi also said that the second phase of Operation Kimia II will start in 48 hours and will focus on Fizi, adding that reinforcements have already arrived from North Kivu province.